Back in May, NCR data noted Canadians had topped 1 million ‘photo chequing’ deposits led by CIBC and Tangerine. In the same month, CIBC was ranked the top Canadian ‘Big 5’ bank in terms of mobile banking features by Forrester Research. 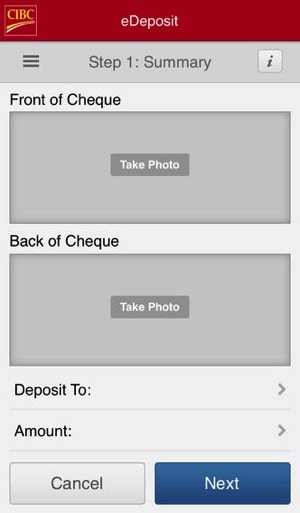 Not sure why other ‘Big 5’ banks haven’t matched CIBC’s implementation of photo chequing yet. Have you been using the CIBC app to deposit cheques?